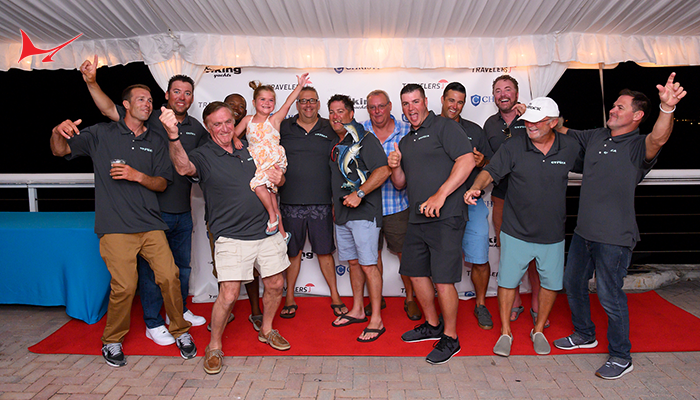 As if to put an exclamation point on the phrase, “Save the best for last,” Dirt Pit, the last boat entered in the 2014 Blue Marlin Grand Championship, weighed in the biggest marlin of the tournament Saturday, shortly after the scales opened at 5 p.m.
Angler and new boat owner Cramer Pierce whipped the first marlin he had ever seen, let alone caught, in three hours. 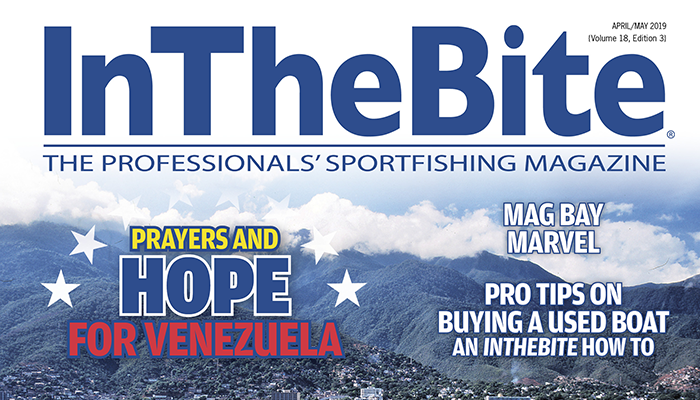 The 595-pound blue was captured on 100-pound test line spooled on a Shimano 80 reel. Pierce’s big fish ate a pink Marlin Magic lure trolled near the Beer Can oil rig. “It was slick calm out there and we boated the fish about 7 p.m. last night,” mate Brian Beason explained. 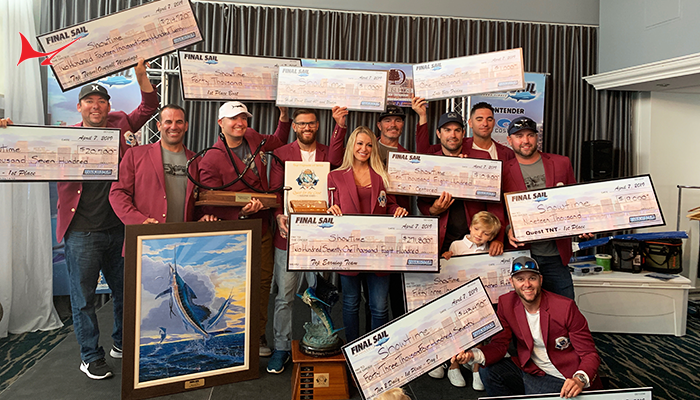 It was only the second time the team had fished together in a tournament and Beason said it took a concentrated effort to catch the fish and bring it aboard. Mate Clay Holzborn and Capt. 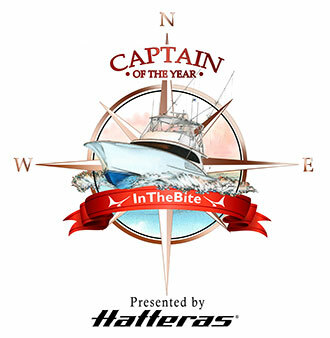 Travis Holzborn are the other crew members on the 55 Hatteras based in Union, Mississippi. 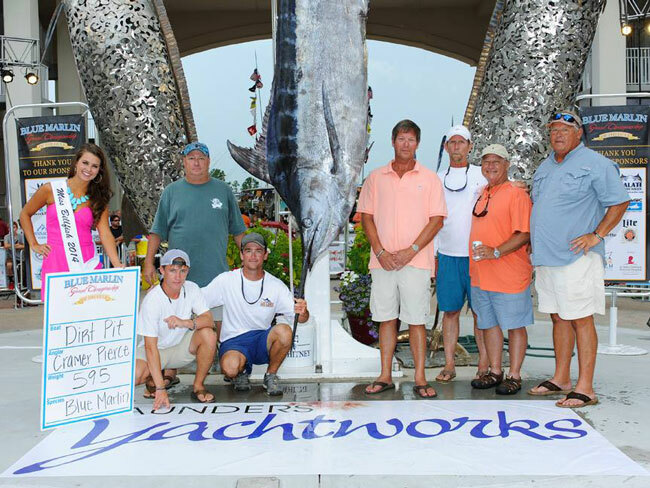 Team Reel Worthless continued its hot streak by weighing a blue marlin that tipped the scales at 562.4 pounds. Steve Brown was the angler and he also wound in the only blue marlin in the Emerald Coast Blue Marlin Classic last month. Brown’s latest catch was fooled by a live bait. Sea Mixer and Relentless Pursuit both weighed marlin on Saturday as well. 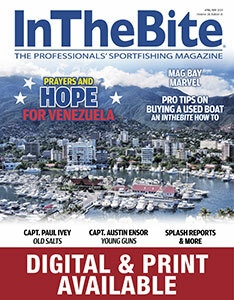 Sea Mixer’s fish weighed 368.2 pounds and was caught by Chris Davis near the Noble Mystique rig on 80-pound tackle. Captain Devin Potts is the skipper of the 66 Spencer, owned by Ronald Davis. The Championship team won’t be decided until all the release videos have been screened and scored. 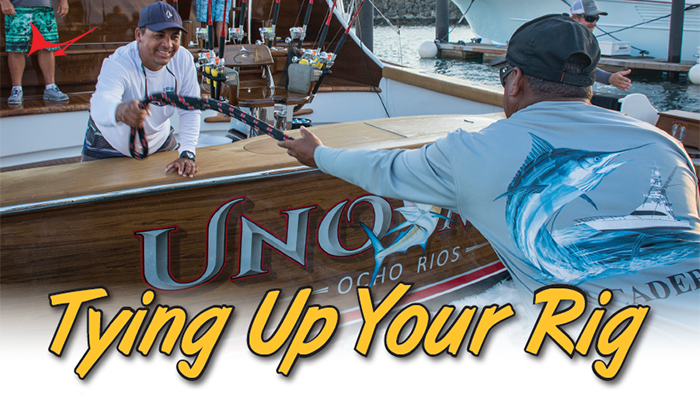 Several boats had multiple billfish releases to their credit, including last year’s champion, Reel Fire. It was a see-saw battle throughout the night as the boats off-loaded their game fish catches Saturday night at The Wharf Marina and Entertainment Complex. Only a couple pounds separated the top finishers in some categories and the margin was down to the tenths of pounds in others. The lady anglers demonstrated their blue-water prowess in the tuna and wahoo divisions..
Luanne Bozeman on Restitution III landed the heaviest wahoo, a speedster that registered 75.4 pounds on the scales. Shelby Johnson, fishing on Quick Time, scored the biggest tuna at 133.2 pounds, but Jane Solomon on One More nearly beat that mark. Her tuna weighed in at 130.4 pounds. Only six-tenths of a pound separated the top three anglers in the dolphin division. 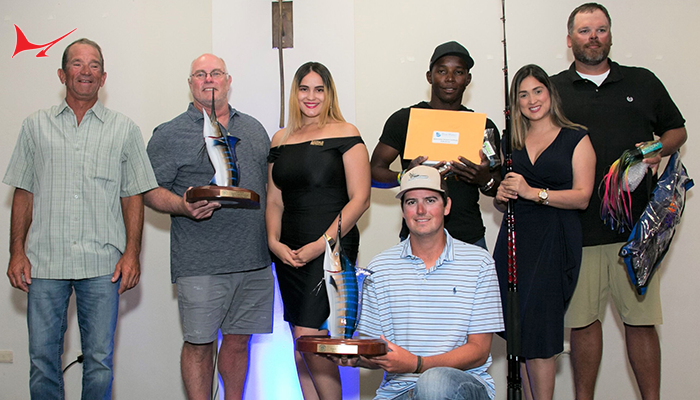 Rick Olsen (Breath Easy) had the biggest fish at 39 pounds, followed by Buel Polk (Share-E) at 38.8 and Eric Hayles (Mollie) at 38.4 pounds, respectively. The 2014 Blue Marlin Grand Champion will be crowned at the Sunday awards breakfast, along with the payout of the $1.327 million in prize money. The year’s Triple Crown Grand Championship winner will be announced immediately afterwards.